Assembled frame with Black Ritecell Foundation already installed. Factory assembled. Assembled frame with Natural Yellow Ritecell Foundation already installed. Factory assembled. Factory assembled. Deep frames are typically used for brood. 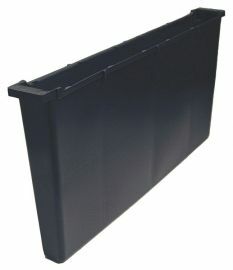 This standard frame is unassembled but the components fit together and can be secured with wood glue and small nails. Foundation required. This frame is unassembled but the components fit together and can be secured with wood glue and small nails. Requires foundation. This special frame holds wax foundation. Comes unassembled and will require wires for securing foundation. Small tool for removing wax and other debris from frames prior to replacing foundation. 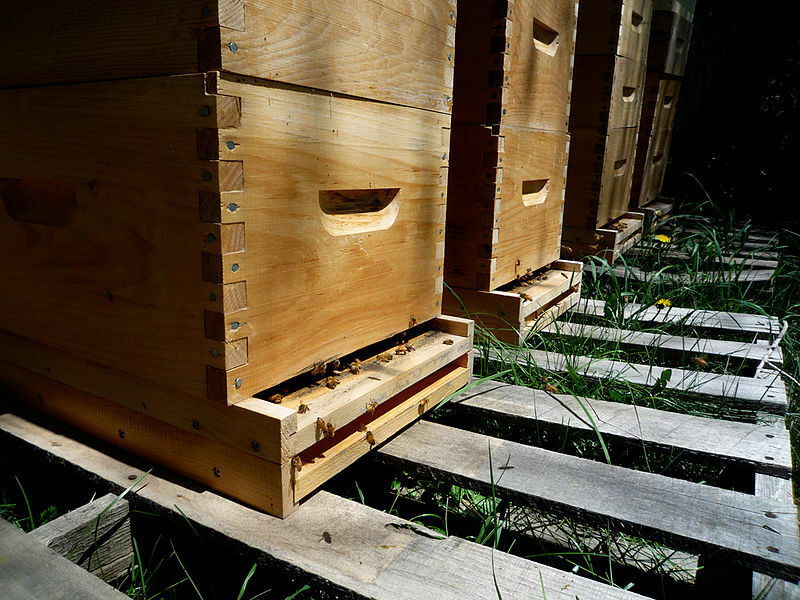 The frame feeder is approximately the size of a single frame allowing feeding to be done inside the hive. 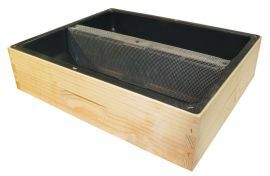 A frame feeder with feeding tubes to give bees better footing while they feed. 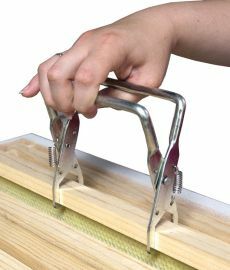 Aid for lifting frames from your boxes. This handy device attaches to the outside of the hive during inspection. This allows you to hang a frame on the outside of the hive instead of leaning it against the hive. Combs stay safe and out of the way. 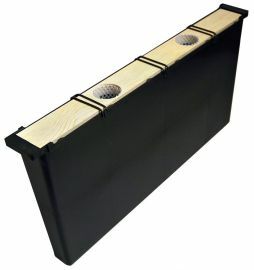 Protects the inside wooden edge on a hive body. Frame ears rest upon metal. Evenly spaces frames to 9 per super, rather than the standard 10. An antibiotic that is used for the treatment of Nosema, a fungal infection of the intestinal tract. Sold by the teaspoon. These leather gloves protect your hands from stings. 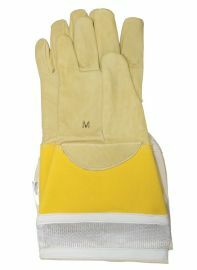 The gloves are elbow-length and are ventilated. 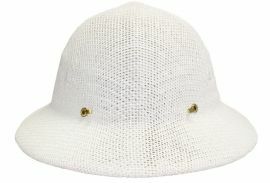 This mesh helmet supports the veil. For prying and loosening hive components. This hive tool is shaped in a flat J shape, rather than the more traditional design. For prying and loosening hive components. 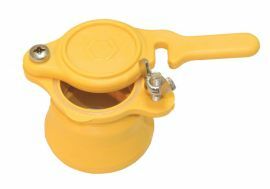 This syrup feeder is the size of a shallow super and holds several gallons of feed. This plastic gate controls the flow of honey out of a bucket. Electrically-heated knife for removing the caps off of honeycomb prior to extracting. 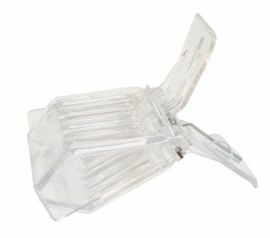 Takes the place of a standard inner cover and can be used all year. Deeper rim on one side to allow the placement of pollen substitute or winter patties. Upper entrance on one side and a closeable vent hole on the other. Center feeding cutout for use with a jar feeder. One pound cake of pollen substitute. 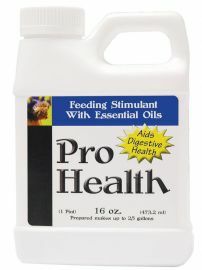 Pro Health is used as a feed stimulant as well as a health aid. Best used in the late summer. Hand tool for capturing and holding a queen bee.